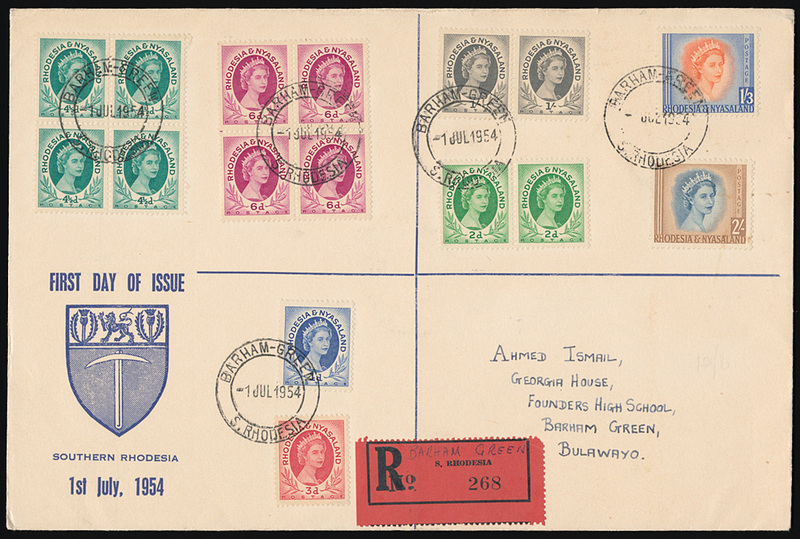 1954 QEII, values to 2/- singles, pairs or blocks of four applied to illustrated cover cancelled 'BARHAM GREEN 1 JUL 54' the first day of issue. Red registration label endorsed in manuscript. Most unusual.